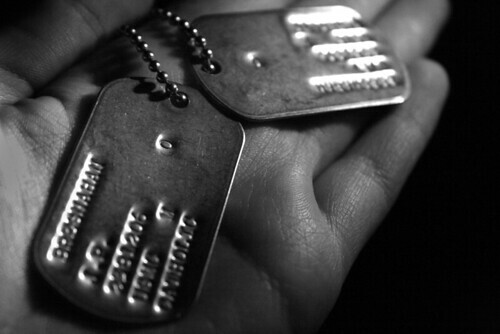 My step-grandfather was a aircraft gunner, and a long time after my mother’s dementia kicked into high gear and she moved into a nursing home, I was cleaning up some papers of hers when I ran across his dog tags. I cherish them. He was a quiet, wiry little man who lived his whole life in humility and service to others. I didn’t really understand or appreciate who he was for many years, but I do now.